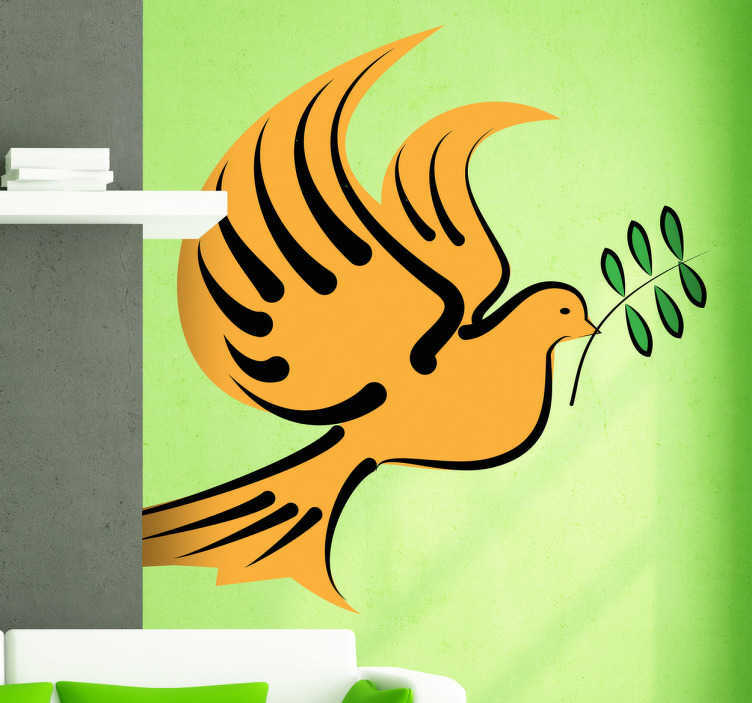 Wall sticker of a dove carrying an olive branch in its beak. A universal symbol against violence. Design from our collection of Christian wall art. This dove decal is brilliant to decorate those empty spaces at home. Available in various sizes. Made from high quality vinyl. Easy to install and leaves no residue upon removal.